Pianist Jason Moran offers Ten, to mark a decade with the Bandwagon, his trio with bassist Tarus Mateen and drummer Nasheet Waits, and it's an anniversary worth celebrating. But Ten is also Moran's first release since Artist In Residence (Blue Note, 2006), so it affords him the opportunity to include pieces from long-form commissioned works he's written since then. The loping, gospel-tinged "Blue Blocks" is from a multimedia suite inspired by the quilt makers of Gee's Bend, Alabama. "RFK in the Land of Apartheid," ominous and grooving, is from Moran's score to a film of the same name. "Feedback Pt. 2" was commissioned by the Monterey Jazz Festival and inspired by Jimi Hendrix. "Crepuscule with Nellie," by Thelonious Monk, presented here in a radically sliced-up form, is from Moran's 2009 performance piece and Monk homage, In My Mind. That the material hangs together so naturally is a testament to the trio's strength, its distinct and highly evolved improvisational approach. Mateen contributes "The Subtle One," vaguely reminiscent of Mal Waldron's "Soul Eyes." His acoustic bass guitar pops nicely in the mix and it serves his soloing well on the Monk tune and "Play to Live," co-written by Moran and the late Andrew Hill. Waits' free-spirited rhythm, so key to the Bandwagon's very identity, is particularly alive during Jaki Byard's stride-inflected "To Bob Vatel of Paris" and Leonard Bernstein's "Big Stuff," a Billie Holiday vehicle originally from the ballet Fancy Free. The spirit of electric Miles Davis seems to rear its head on "Gangsterism Over 10 Years," a disguised variant of the Bandwagon's de facto theme song. 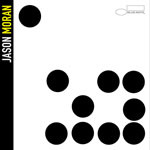 Moran has a way of finding oddball elegance in a huge variety of music, and his treatment of Conlon Nancarrow's "Study No. 6" shows an ability to reinvent a specific theme not once but twice. The piece plays off a tension between the A Major and natural minor scales and Moran's ethereal second version is closer in spirit to the original. The first version, driven by Waits' lightly persistent mallets, is quicker in pace, tightly conceived but ready at an instant to break free of tempo confines. In a word, it's been Bandwagonized. Track Listing: Blue Blocks; RKF in the Land of Apartheid; Feedback Pt. 2; Crepuscule with Nellie; Study No. 6; Pas de Deux--Lines Ballet; Study No. 6; Gangsterism Over 10 Years; Big Stuff; Play to Live; The Subtle One; To Bob Batel of Paris; Old Babies.